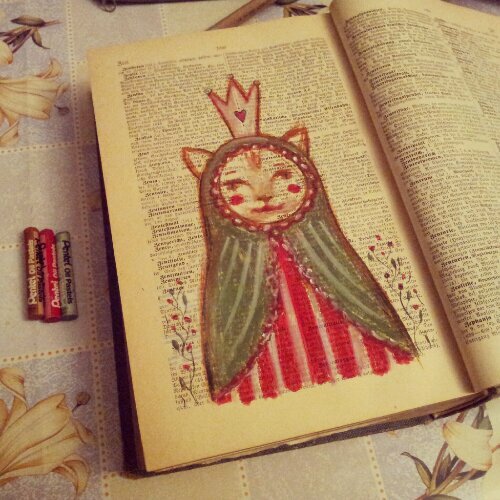 Folk whimsical cat Matryoshka. 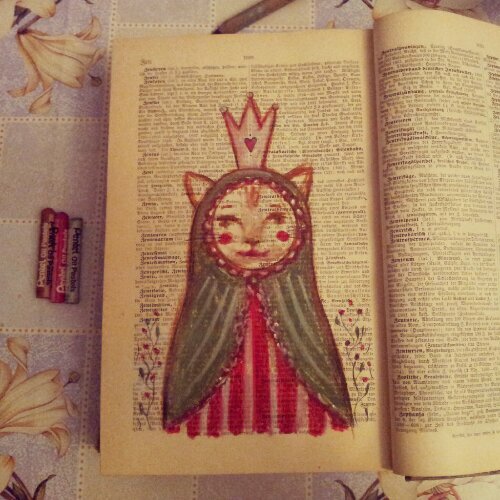 Page 1020. 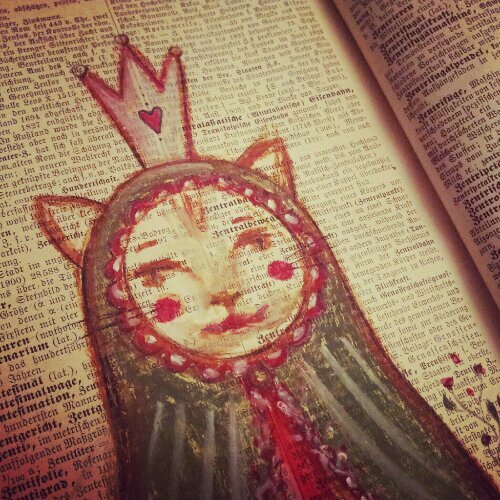 Original mixed media folk art painting on an old German lexicon page. Price: 60$ + shipping (paypal).